South Albany High School has been making gains in student achievement in the last few years, and on Tuesday, they had a chance to share their strategies for success with other schools. 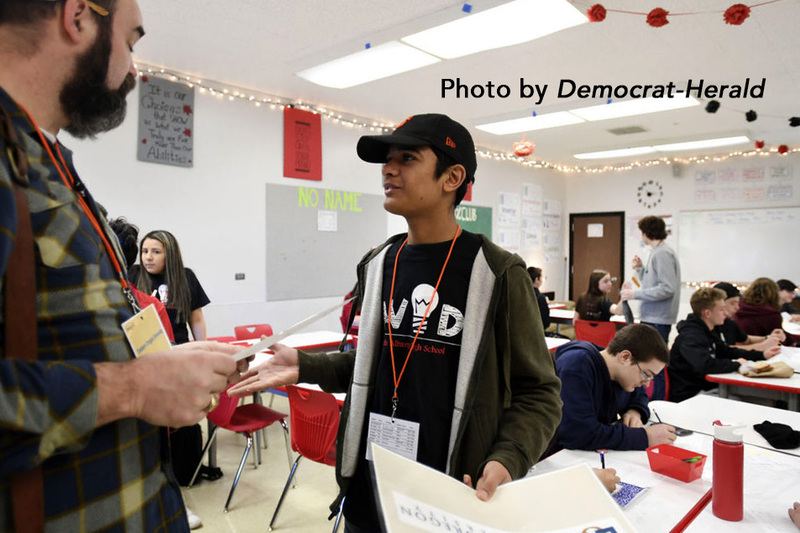 The school hosted about 100 educators from other schools around the state for an AVID program showcase. 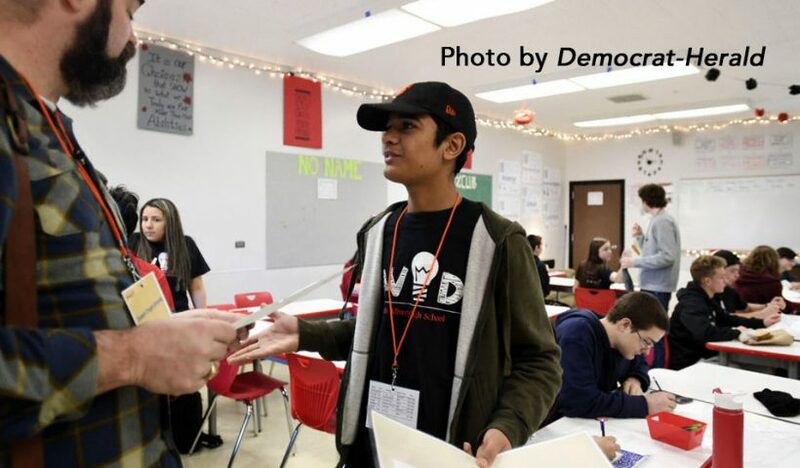 AVID, Advancement Via Individual Determination, is a national college and career preparation program that includes elective programs and strategies to improve critical thinking and study habits. “It was a huge honor to have been chosen to host the showcase and it went extremely well,” said AVID coordinator Ben Sell. There are currently 252 kids in AVID elective classes at SAHS, but AVID is a schoolwide program. Sell said they showcased teachers utilizing AVID strategies in their non-AVID classes as well. “All our students benefit from it,” he said.